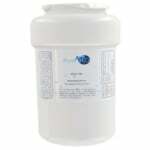 The PureH2O Replacement for ClearChoice CLCH103 is the PureH2O PH21300. 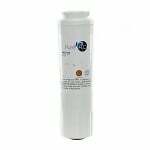 This coconut carbon filter media filter works superbly to remove and/or reduce chlorine taste and odor, and is also a suitable compatible replacement for the Samsung DA29-00003G and the EcoAqua EFF-6011A. The PH21300 also removes particles down to 0.5 microns. The PH21300 should be replaced every 6 months for optimal performanance and efficiency.